The India Chapter of Amnesty International on Saturday faced the heat of the controversial Sedition law. FIR was filed against the Human Rights Advocacy Group for alleged anti-India sloganeering during an event being held in Bengaluru, on Human Rights Violations in Jammu & Kashmir. As per Amnesty international, the event was organized as part of their campaign to seek justice for alleged Human Rights Violations in Jammu & Kashmir. It was meant to voice the victims featured in their 2015 report. 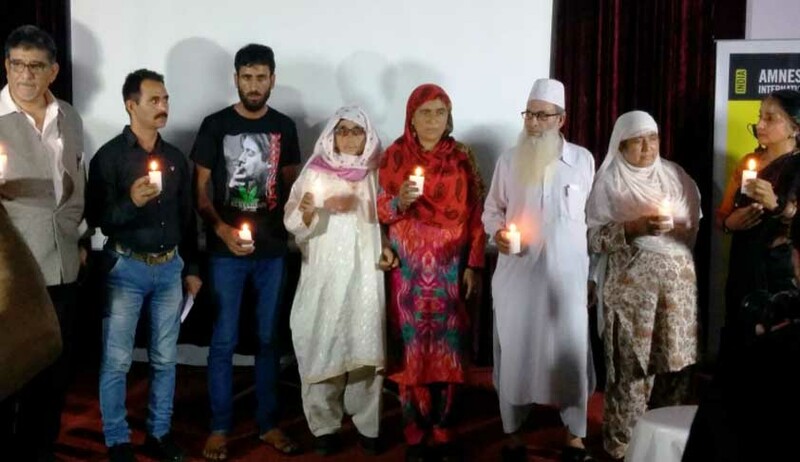 The members of aggrieved families, who had lost their people to sudden disappearances in the valley, also participated in the event to narrate their stories. It was held at the United Theological College with journalist Seema Mustafa, and former journalist RK Mattoo among the panellists. The Akhil Bhartiya Vidyarthi Parishad (ABVP), student wing of the BJP on the allegations that they event was spreading anti-India sentiment staged a protest and filed an FIR. FIR was registered under Sections 142, 143, 147 (rioting), 124a (sedition), 153a (promoting enmity) and 149 of the IPC. However, no Amnesty member had been named in the FIR, as per the new report. Amnesty International, on the other hand, has reacted strongly to the developments expressing regret on the state of constitutionally guaranteed rights in India. “Merely organizing an event to defend constitutional values is now being branded ‘anti-India’ and criminalized. The police were invited and present at the event. The filing of a complaint against us now, and the registration of a case of sedition, shows a lack of belief in fundamental rights and freedoms in India,” said Aakar Patel, Executive Director, Amnesty International India. Amnesty International in its statement issued in response to the sedition case, clarified its stance and stated that the Bengaluru police was informed well in advance. They further stated that even the Kashmiri pundits, ousted from the valley in the face of threat of persecution and human rights violations, were invited for the meeting. The Human Rights Group in their statement referring to the Fundamental Right to Freedom of Speech and Expression guaranteed in the Indian Constitution, pointed out that it could be restricted only on the basis of threat to public order and incitement to violence. They stated that, the Sedition law was repeatedly used negate it and throttled any legal exercise of the right. “Amnesty International India as a matter of policy does not take any position in favour of or against demands for self-determination. However, Amnesty International India considers that the right to freedom of expression under international human rights law includes the right to peacefully advocate political solutions, as long as it does not involve incitement to discrimination, hostility or violence.” , it said. The controversial section 124-A of the Indian Penal Code has been the hot point of deliberations since the very beginning of the year. The arrest of JNU scholar, Kanhaiya Kumar under sedition charges, led to nationwide debates on the sedition law being a threat to the fundamental freedoms enshrined under the constitution. The latest turn of events in Bengaluru, is expected to reengage the nation in the rethink of the Law. Read the Full statement of Amnesty can be read here.